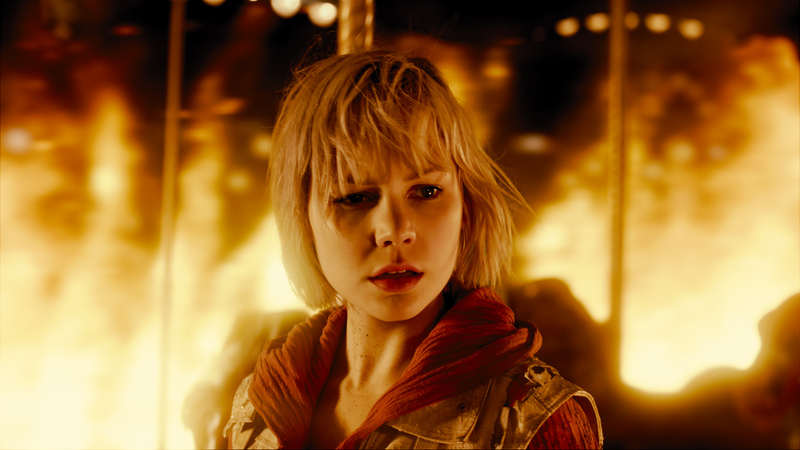 There’s a new image from Silent Hill: Revelation 3D is there? What? After yesterday’s first red-band clip, showing the return of those pesky killer nurses? Well, could you kindly please take hold of this hot mug of coffee while I lose my s*it? Scolding my hand would only serve to undermine this orgasmic thrill. OK, so I’m being an arse but is anyone (within which I include the director, the writer, and the production staff) expecting this suffix laden cash-in to be anything other than guff? Come on, be honest, it all looks a lot silly now doesn’t it? Well anyway enough of that, what’s actually going on here? Well we’ve got Adelaide Clemens and Sean Bean teaming up as a daughter and father “on the run from dangerous forces that remain unknown to the young girl.” Besides that they’ll be supported by Carrie-Anne Moss, Malcolm McDowell, Radha Mitchell, Deborah Kara Unger, and Martin Donovan. You might think that I’ve jumped to conclusions concerning the motives of the film-makers but when a plot synopsis opens with the previous film’s gross takings at the box-office you’ve got be a little sceptical. Based on the groundbreaking video game franchise, SILENT HILL: REVELATION 3D is the sequel to the hit film SILENT HILL, which opened to number one at the U.S. box office and took in nearly $100 million at the worldwide box office. Featuring an unparalleled horror experience, Konami’s Silent Hill franchise has captivated fans for more than a decade and has spawned a hit comic book series, graphic novels, collectible action figures and numerous soundtracks from rock bands. In SILENT HILL: REVELATION 3D, Heather Mason (Clemens) and her father (Bean) have been on the run, always one step ahead of dangerous forces that she doesn’t fully understand. On the eve of her 18th birthday, plagued by horrific nightmares and the disappearance of her father, Heather discovers she’s not who she thinks she is. The revelation leads her deeper into a demonic world that threatens to trap her forever.